It has become a tradition around here to feature brides and wedding dresses for our Weekend Eye Candy posts during the month of June. Norman Hartnell designed this silk organza wedding gown for Princess Margaret. She is also wearing the dramatic Poltimore tiara, which was sold by her children after her death. 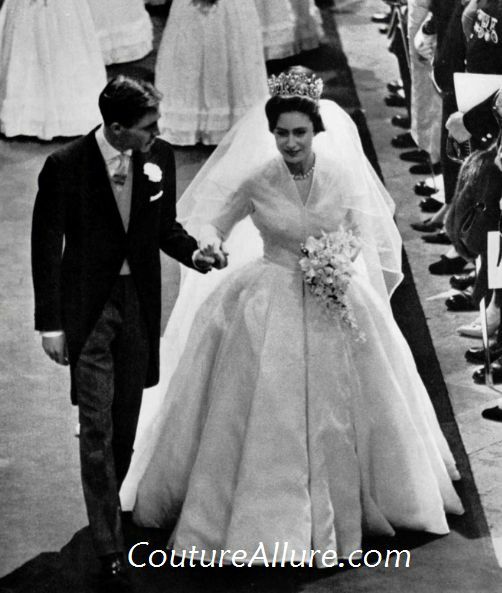 The wedding took place on May 6, 1960 and it was the first Royal Wedding broadcast on television worldwide.